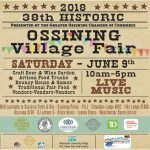 The Greater Ossining Chamber of Commerce presents the 38th Annual Ossining Village Fair. 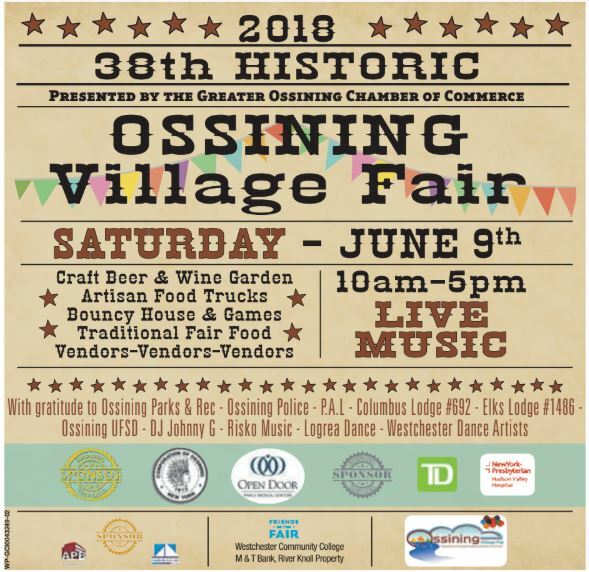 In addition to the wonderful craft vendors and professional service booths, the Fair will have plenty of great fare and cheer including a Wine & Beer Garden with Artisan Food Trucks. There will also be traditional Fair food including hot dogs, corn dogs, cotton candy, fried dough, soft serve ice cream, lemonade, and much more. You must check out the kid’s area with bouncy rides, sand art, dunk-a-cop, and amazing entertainment at Market Square. There will be four entertainment stages with dance demonstrations, Zumba, Gimme the Mic, local bands. Live entertainment will range from Smooth Jazz to Rock performances and an Elvis Tribute!